The offline method of application or payment is the most primitive ways of application. Earlier if someone had to apply for an examination, first they had to send the prospectus/application fee by post and then the examination body would post the required application form and then the candidate would fill the application and send it back. This used to kill double the time in application form submission and obviously prone to logistic troubles. Later with the expanse of websites, half the time was saved as the applications could be directly downloaded from the website and submitted back by post with due attachments of payment instruments and any other requisite documents. 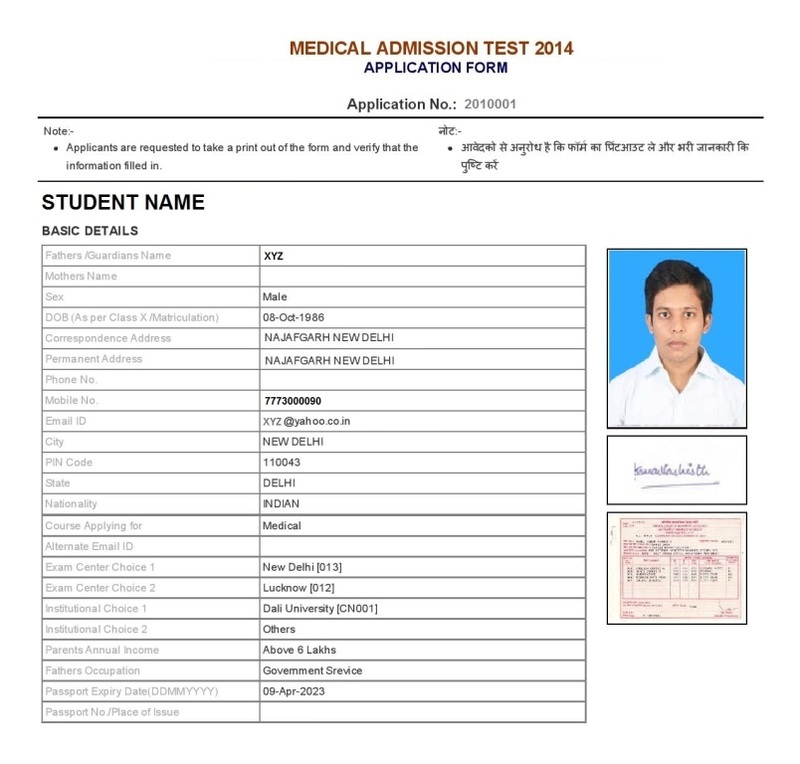 But this offline method of submission was not very fruitful for the examination body as they had to feed the data manually and also wait till the last date in anticipation of more forms being received, so the picture of participation in the examination was not clear until last days of the application process. 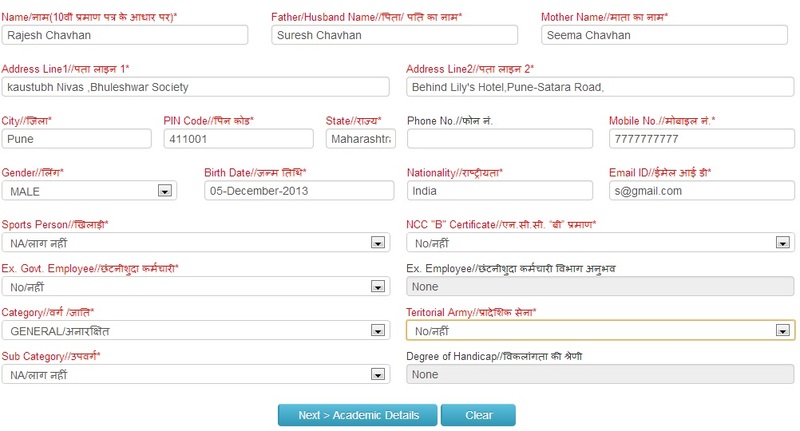 Instead when this offline application process was supplemented with online submission of application along with offline hard copy submission by post, it made it very simple for the examination body to have a real time idea of the response to application and the number of applicants already registered to take part in the examination even if their offline application forms have yet not been received in the office. Prepare your Cheque /DD for registration fee according to the fee structure mentioned in the admission notice. The payment instrument must be readied before filling the online application or the offline application as the application form will necessarily have a column for filling the Cheque /DD details. Complete the Online Application form along with all the required information, photos and documents. You will receive an Email and/or SMS with your Username and Password. If you get logged off accidentally, you can complete/ edit your application again using this username and password. In certain cases there is no provision to edit the or continue the previous application. In case the previous application is interrupted, it has to be omitted altogether and a new application must be begun. After completion of the Online Application form along with all the required information, photos and documents, you can print it in duplicate. One copy can be retained for your reference. 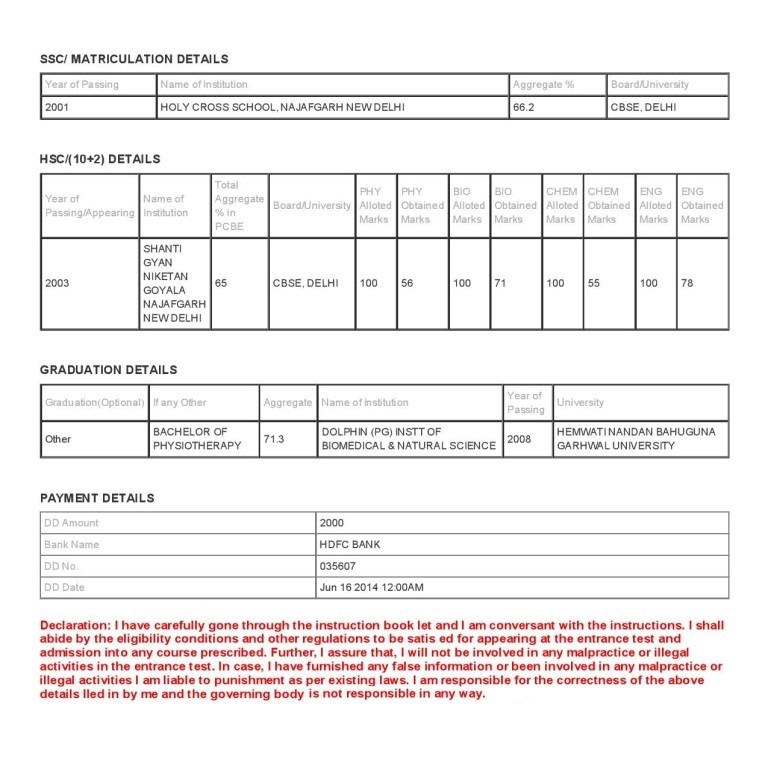 Take prints of the application form on plain white A4 size paper in actual size without compressing the PDF. The print should be clear and readable. Carefully read the instructions given on the Application format and fill the form accordingly. Paste the photograph and mark your signature in the respective spaces provided for the purpose. Attach attested photocopies of any other required documents as mentioned in the instructions for filling the form or in the Job advertisement posted on the website. One ditto copy of application must always be retained by the applicant. The other copy must be send to the Admission/ Recruitment Office. The application must always be posted in time keeping sufficient allowance for postal delays and if required, reapplication.